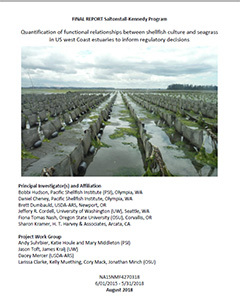 Our project team is measuring effects of off-bottom oyster production on the local environment and neighboring shellfish operations in WA state. PSI and partners streamline seed rearing methods and seed health diagnostics for small and mid-size farms to grow their own. Visit our contact page for general inquiries, location information, and for individual staff email. 3,755 Students Engaged in 2018! 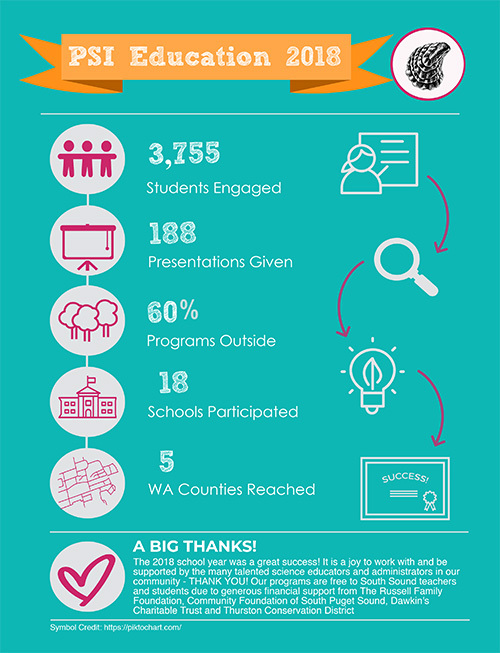 Learn more about the K-12 science education programs PSI offers to local South Sound schools! 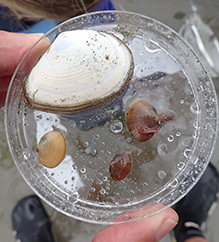 Results from the South Sound BioBlitz for Nearshore Invertebrates are in (pdf)! View the final species list or learn more about the event here... Stay tuned for future opportunities with PSI!